The Octavia Corporate Edition is limited to existing Skoda customers. Petrol and diesel versions priced at Rs 15.49 lakh and Rs 16.99 lakh, respectively. New variant undercuts the Octavia Ambition, which is priced from Rs 15.99 lakh. Only available in Candy White paint. The Skoda Octavia has become more affordable with the launch of a new variant called the Corporate Edition. Priced at Rs 15.49 lakh for the petrol version and Rs 16.99 lakh for the diesel model, the Corporate Edition undercuts the base-spec Octavia Ambition variant by Rs 50,000 and Rs 1 lakh, respectively. However, like the 2019 Superb Corporate Edition that was launched earlier this year, the Octavia Corporate Edition is exclusive to existing Skoda customers. Has the price cut led to any changes on the feature list? Well, for starters, the Octavia Corporate Edition is as safe as the Ambition variants as it gets four airbags, ABS with EBD and brake assists (BA), electronic differential lock (EDL), electronic stability control (ESC) and ISOFIX child seat anchors. Other features on offer include LED headlamps with LED DRLs, a dual zone climate control system with rear AC vents, a 6.5-inch touchscreen infotainment system with Apple CarPlay and Android Auto, height adjustable driver seat and rear parking sensors. In comparison, the Ambition variant misses out on LED headlamps. However, Skoda is yet to reveal the full feature list of the Corporate Edition and there may be more feature differences. Under the bonnet, the Octavia Corporate Edition is available with either a 1.4-litre TSI petrol engine or a 2.0-litre TDI diesel engine. Where the petrol sedan makes 150PS of power and 250Nm of peak torque, the diesel is good for 143PS and 320Nm. Sadly, there’s no dual-clutch automatic (DSG) on offer as both engines come mated to a 6-speed manual transmission as standard. 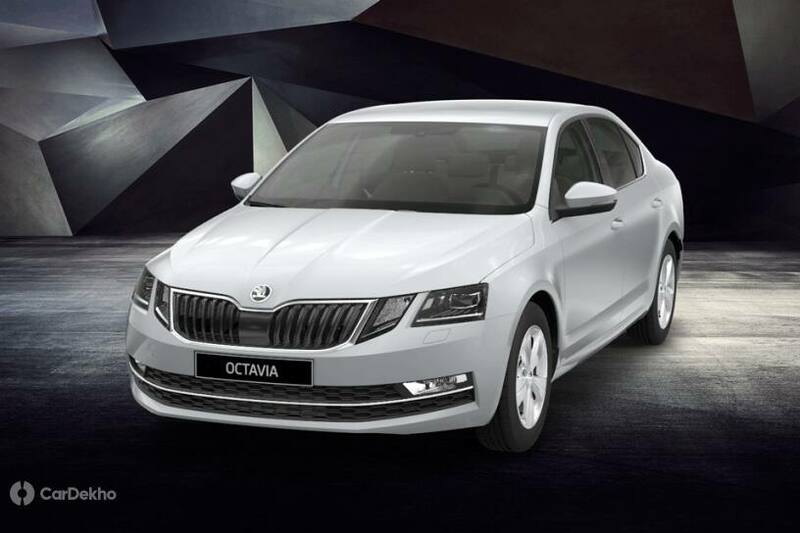 To know more about the Octavia Corporate Edition, check out the official press release below. Mumbai, 18 March, 2019: ŠKODA AUTO India introduces the OCTAVIA Corporate Edition at an attractive introductory ex-showroom price of INR 15.49 lakh exclusively for ŠKODA customers. The OCTAVIA Corporate Edition serves to cater a demand for a modern emotionally-rich design, generous proportions and dimensions, unmatched ownership experience and unparalleled ‘value for money’ proposition. The subtle contours on the rear and the C shaped illumination, typical of the ŠKODA model range, makes the vehicle confidently stand out. The cool brushed décor on the front center console and door panels with dual tone Onyx Ivory front dashboard and the style beige upholstery uses the dialect of elegance that reflects the glorious ŠKODA history and design language.